In the remnants of the Vainglory World Invitational third-place match, the two teams left unsatisfied. Hunters, having just lost the match, finished in fourth place with a chip on their shoulder. GankStars finished in third, but knew they were destined for more, and were willing to work to prove it. Fast forward two months and these teams are given a chance at exactly what they wanted, but the stakes are higher, and there can only be one winner. GankStars had an impressive run of games on the back of the talented CullTheMeek to become the first team destined for the finals. In the other semifinals, Hunters swept past the Korean favorite, Invincible Armada, to shock everyone and maintain their momentum as they propelled into the finals. 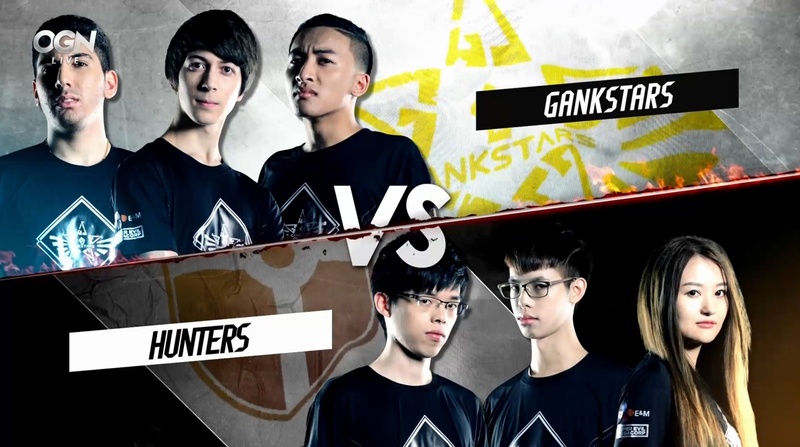 The last time these two teams met in a competitive setting, GankStars got to pick the comp they wanted, with CullTheMeek punishing Hunters repeatedly as the jungle carry. With his recent performances on Glaive I highly doubt Hunters will let him run rampant on them again. Hunters tried to match the GankStars’ early aggression with a Glaive of their own, but that didn’t pan out as they had planned. Now that these two extremely talented teams are matching up again, I want to review the different roles to try to predict which heroes we can expect to see in each of these games. GankStars don’t want to take that pick away from IraqiZorro. By leaving the Ringo pick an option, GankStars is effectively forcing Hunters’ hand to ban Ringo, or beat IraqiZorro on his best hero. It’s a win-win for GankStars, because they have the stronger Ringo player, so Hunters has to take one of their most comfortable heroes away in order to try to slow down the man, the myth, the legend, IraqiZorro. Wands has been crushing teams with his impressive Celeste play. In the semifinals he only needed to average 6-5-6 with 125 creep score to defeat Invincible Armada. His ability with Celeste to control games is good enough that he could go 6-5 against arguably one of the strongest teams in the entire tournament, and beat them 2-0. If I was banning, it would be a Celeste ban, without hesitation. Queen has changed and evolved her playstyle so much that I wouldn’t even think to try to ban her out. She has pin-balled back and forth between Catherine and Ardan, depending on what she expects from her opponents. A Catherine or Ardan ban only becomes relevant in response to an Adagio ban. Because GankStars have been running a dive comp with Ardan, if they can restrict the support pick, and have a composition that utilizes Ardan better, it could be a key to victory. IraqiZorro is hands-down the scariest Ringo you’ll ever meet on the Fold. In a world where a team playing against him gets a ban, they should take that amazing opportunity to ban his Ringo. Don’t become the next pQq and expect to beat his Ringo, because we all know how that turned out. Unfortunately for Hunters there’s a teeny tiny flaw with that plan. CullTheMeek has played Glaive at such a high level that if his Glaive isn’t banned there’s a significant chance he’ll eventually solo your team. Because Hunters only gets one ban they will feel pressured to remove Glaive from the equation. Honestly, if the ban was up to me, I’d have to pick Glaive. While what IraqiZorro does on Ringo is manly, what CullTheMeek does on Glaive is godly. If Hunters do decide to leave Glaive as an option they had better come with a pick that counters it. A few come to mind, but they probably already have other jungle options in mind with how vulnerable their Celeste pick is. Maybe we’ll see Krul in the VIPL finals. Maybe. Gabevizzle has respectfully earned the title “baitvizzle” by effectively turning or initiating fights with his positioning, drawing his opponents’ focus, and letting his teammates clean up fights effectively. Though Adagio has been banned in 60% of GankStars’ games, gabevizzle has picked it every other opportunity. Hunters can safely assume gabevizzle will revert to Ardan if Adagio is off the table, but that doesn’t improve Hunters’ situation because of how well gabevizzle adapts to the Ardan playstyle. The joy of having your support earn and deserve a ban is a priceless bonus that GankStars gets thanks to the impact that gabevizzle has on games. His Adagio meshes so well with the comps that GankStars run game in and game out. It’s an intricate piece to an ever-evolving puzzle that opponents never manage to solve. I don’t see Hunters banning Adagio game one, only due to the strength of the Glaive and Ringo bans. If you have a pulse then you should be checking these games out so you can celebrate with the victor! OGN will be streaming these games LIVE on Saturday at 9 PM PDT / Sunday 6 AM CEST on their global Twitch.tv livestream channel. If you can’t catch the games we’ll get a VOD posted as soon as it’s up. Check back for more updates about the VIPL! The OGN VIPL Finals preview video is below. Check it out! I have a question… If Hunters ban Glaive, what will CullTheMeek choose? I mean… Koshka is kind of weak.. I thought they were playing the finals on 1.8 which would make Ringo picks/bans less likely and Vox picks more likely. At least this is what they’ve been saying on GankStars streams. Is this not the case? That’s the word on the street, but it’s entirely up to OGN at this point. It’s likely that the finals will be played on 1.8, but with the recent hotfix it’s not unthinkable that they would just finish the tournament on 1.7. With the changes to Ringo in 1.8, I’m honestly shocked that he’s not played more. Everyone played him as a burst carry in lane, rushing Tension Bow and utilizing the attack timer reset of his Twirling Silver to trade or burst his opponents. All of these things still work on him! Also, the duration of his B skill was changed from 7 to 4-6. Ultimately, that’s a one second difference if you overdrive. I don’t see that being a game-breaker considering how good these players are with Ringo. Maybe he’s less safe in the laning phase, but that can be compensated with mindful play. I think you’re right that the finals will potentially be played on the newer patch. However, until we get the official word from OGN I don’t have a definite answer for you. It’s a one second difference once you’re at level 8 but much more in the early game where Ringo was most effective. On his streams Iraqi has been very vocal about how much he dislikes Ringo in 1.8, but maybe he is trolling us and has something up his sleeve!